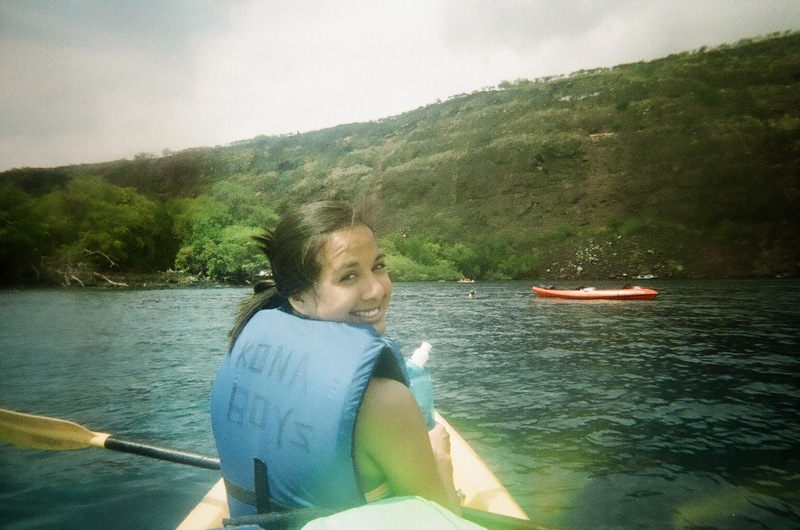 My favorite activity on the Big Island was a kayak tour of Kealakekua Bay. 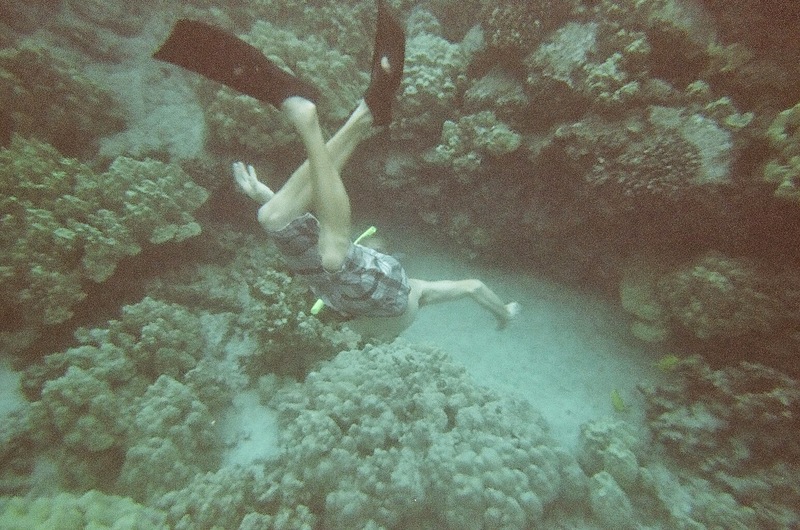 We chose Kona Boys as our tour operator, and we’re so glad we did. When we arrived at their shop for our Midday Meander, as they call it, we were told we’d be the only two people on the tour that day. A private tour? Yay! 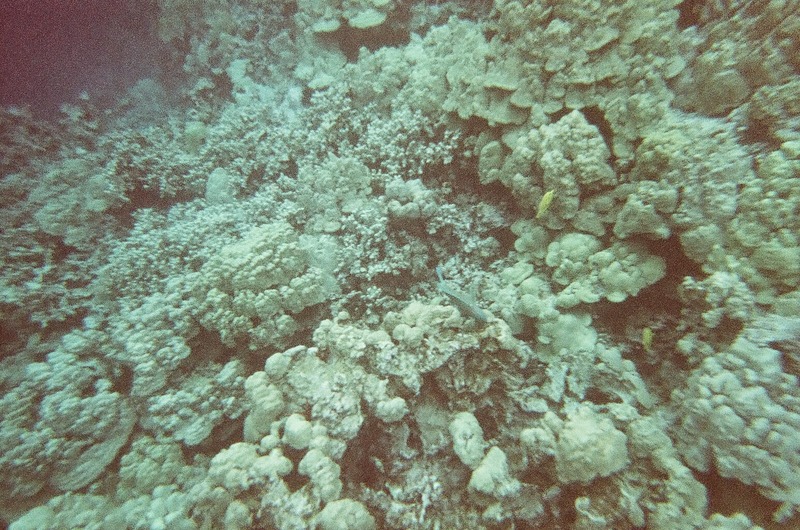 We were outfitted with our snorkel gear, bought an underwater film camera and set off for the bay, where our tour guide was waiting for us. It didn’t take long to get on the water and start kayaking toward the monument. Our tour guide AJ told us he’d seen spinner dolphins that morning, so he was confident we’d see them. 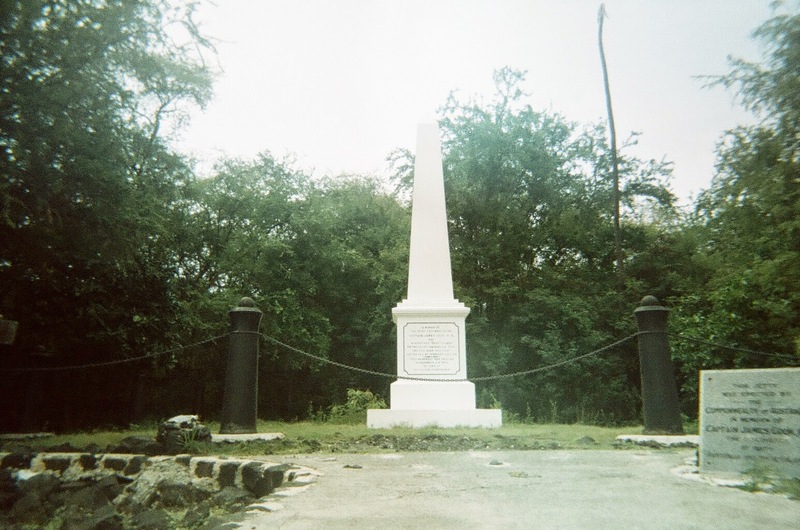 Along the way he shared the history of the bay, the surrounding cliffs and the Captain Cook Monument. He also told us about himself and his move to the Big Island. We picked his brain about life in Kona. AJ was right — it didn’t take long for me to spot the dolphins. There was an Ironman competitor training in the water near them; AJ told us the distance across the bay is the distance the athletes swim in the event, so it’s a perfect training site. 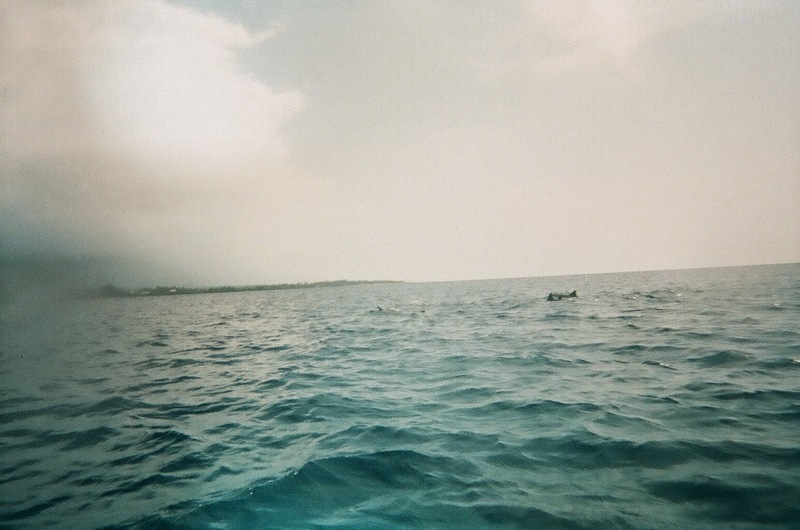 I can only imagine how amazing it must have been to be in the water with the dolphins. Before we knew it we arrived at the landing site. AJ went ahead of us to show us where to paddle and land, and then the guys pulled the kayaks out of the water and set our stuff down. 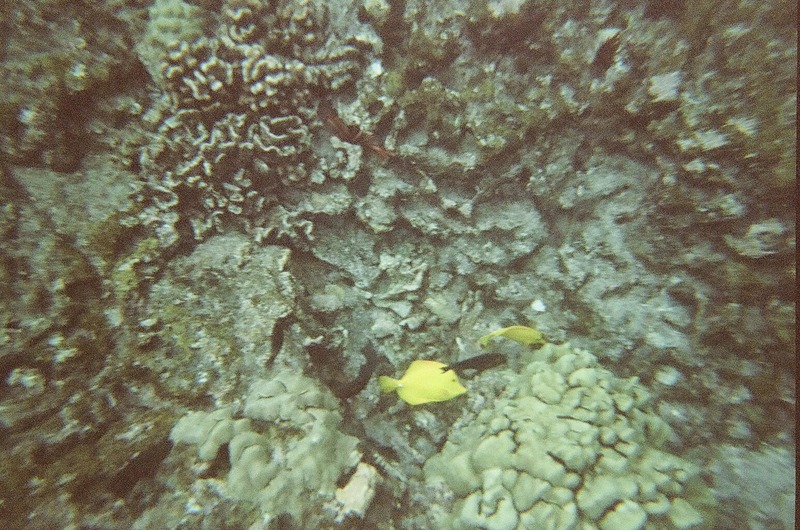 We walked the short distance to the monument and prepared to snorkel. AJ swore by a certain spot that was quite a swim away, but because we are in decent shape he asked if we wanted him to lead us there. Um, yeah! The swim there was incredible; I’ve never seen so many fish. AJ said it was the farthest he has taken a tour before, and we appreciated that. I worked up an appetite on the swim, so we headed back to the monument for some snacks. AJ had brought along pineapple, banana bread and guava juice. You take home a Kona Boys water bottle, too. There were only two other small tours at the monument, and they headed back before we did, so Graham and I enjoyed having the entire place to ourselves. 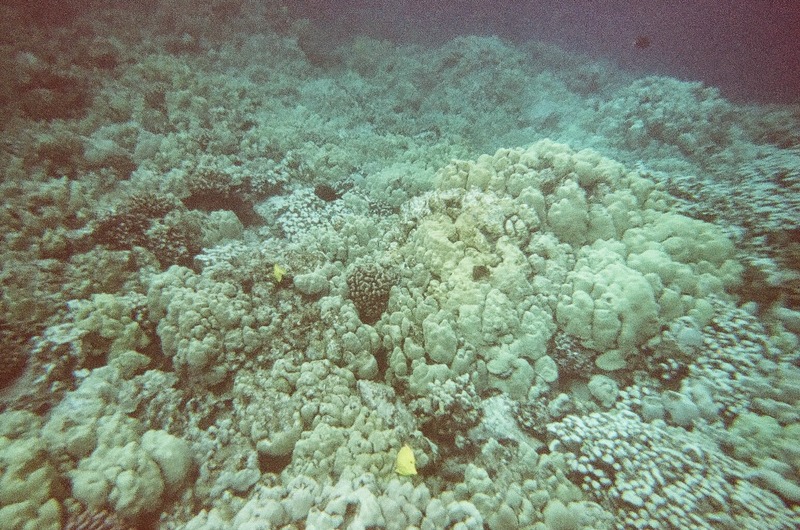 We decided we’d like to invest in a GoPro or underwater camera for our next snorkeling trip. 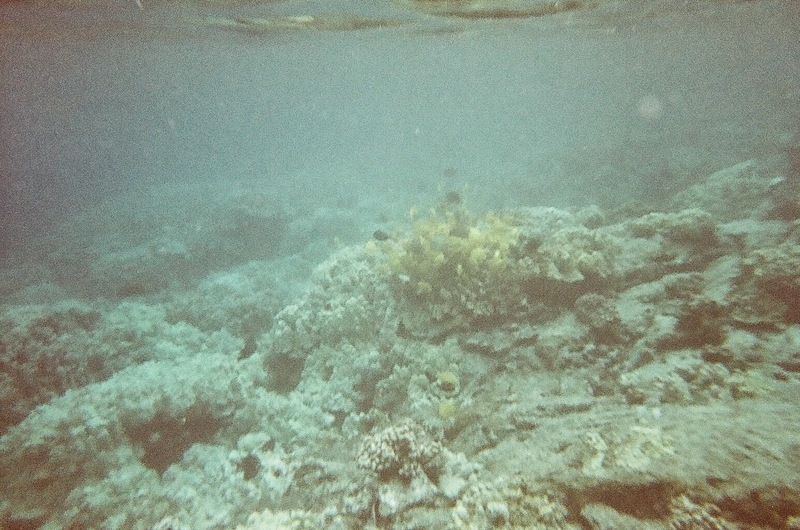 It would have been nice to have one that day, but I’ll never forget the incredible sealife I saw.